Byron was a Captain in the United States Marine Corps and a graduate of the United States Naval Academy. His six years of active duty included one deployment to Iraq and two company commands. He currently resides in Santa Rosa, California. Byron left the Marine Corps in June of 2013. Leading up to that point, he thought he was more than ready. He was leaving with fond memories and great friends. he had the support of family and veterans’ groups. He had completed the best training in the world and applied it in the toughest environments. When Byron took his first steps into civilian life, everything seemed uncertain and new. He was able to get on his feet quickly because of the help of other veterans, and that’s why he started his site SuccessVets.com. Leaving his previous life in the military was one of the most challenging things he’s had to do. Byron felt like it didn’t have to be that way, he saw an opportunity to add value by bringing together insights and advice from those who successfully made the transition. Byron feels his bond with America’s service members is just as strong as when he was on active duty. 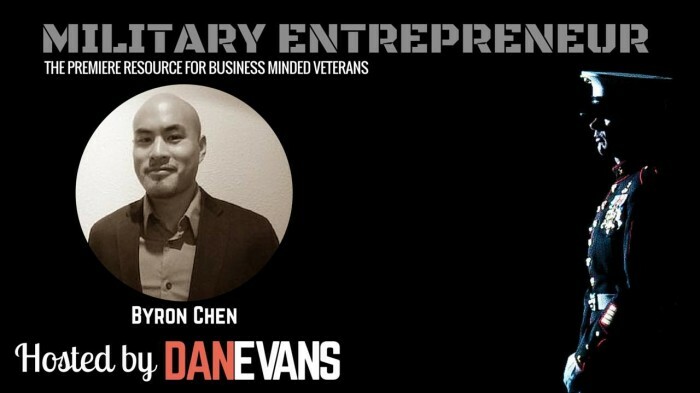 He aims to contribute and serve them through SuccessVets resources, interviews, and connections. Great Interview Dan! Tons on insight from Byron. Excited to see what the future holds for both of you! Thanks for the feedback Scott, You rock!